Ireland - France - Hope for new a World Cup Final qualification play 2009! Irish supporters still hope there is gonna be a new match. Even though the FIFA rejects Ireland's call for France rematch. There has to be a new match. How can Ireland be rejected after the fantastic play and the incredible atmoshphere from their supporters. I addition the French footballer Thierry Henry said that he supported a rematch against Ireland hours after FIFA officially ruled out the possibility of a replay of the controversial World Cup playoff game. The fields of Anfield Road, Liverpool - Touched by the spirit of the Kop! 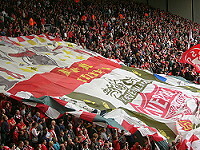 A huge flag (roller) was rolled out on the Kop. It was just before kickoff in the match between Liverpool and Hull on 26th September 2009. I could feel the tension. So the Liverbirds on the Kop started to sing You`ll Never Walk Alone. Soon everybody on the stadium song along. It sounded so beautiful listen to the world`s biggest and best choir. Oh my god how the supporters could sing. It caused tears in my eyes and send shivers down my spine. Here I could really feel that I was a part of something big. Liverbirds Moss rose to big heights on 14 March 2009 - Watch the red singing birds on video clip! Liverbirds Moss was founded this date. 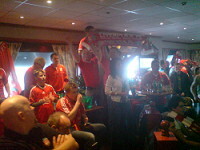 Around 70 eager Liverpool supporters participated on the foundation meeting at Melløs Stadion in Moss. After the meeting they all went to the pub Fetter Anton in Moss to watch their favourite Liverpool play against Manchester United. What a game, and what a start for the local supporter club. 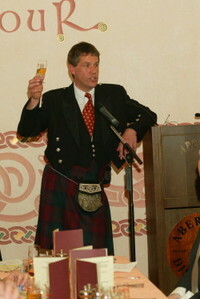 Whisky Festival set to breathe - Water Of Life into Speyside economy! A series of multi-million pound investments in the Scotch whisky industry is helping Scotland to fight back in the middle of the current recession, while one of Europe`s largest whisky festivals is set to breathe the water of life into the off-season economy of Speyside. New edition of UNESCO Atlas of the World's Languages in Danger! UNESCO launched the electronic version of the new edition of its Atlas of the World's Languages in Danger on 19 February 2009. This interactive digital tool provides updated data about approximately 2,500 endangered languages around the world and can be continually supplemented, corrected and updated, thanks to contributions from its users. 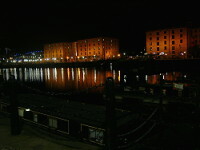 Liverpool, England - The city I love so well! Liverpool is the city with the big heart. Its diverse, energetic and exciting. This city has really soul. Being in Liverpool makes me always happy. The people is exceptionally friendly, and the city itself is beautiful. So I was not suprised when the EU council declared the city of Liverpool as the European Capital of Culture in 2008. 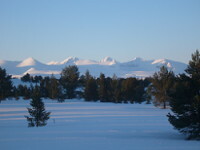 Rondane, Norway  A wonderful Easter sunset in Peer Gynt`s Kingdom 2008! In the sunset at mountain region Kvamsfjellet there were beautiful shining snow peaks all around. Especially the high mountain range Rondane was strongly illuminated in the sunset, and the colours were shifting. 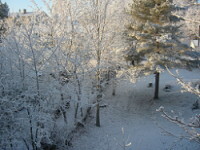 It created a fairytale atmosphere in the Easter. For Norwegians the Easter means snow, sun and fun! 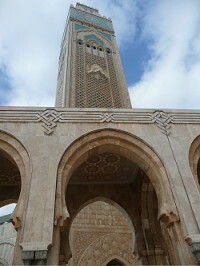 Morocco, Casablanca mon amor! Part 2 of 2! On my second day in Casa I call Meki, the cab driver who picked me up at the train station on my arrival the day before. He spoke good English and said he would give me a tour of the city for a price we agreed in advanced. Morocco, Casablanca mon amor! Part 1 of 2! 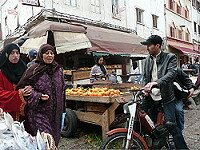 I had only just arrived in Casablanca - Casa to locals - and decided to get straight into the heart of it. I wandered through the teeming medina, where you can buy anything from sweet dates to leather goods to MP3s of the latest Maroc hits - then out into the city and into a giant slum area. I have to admit I was a bit nervous. I just kept walking like I knew where I was going and eventually found myself near the sea. 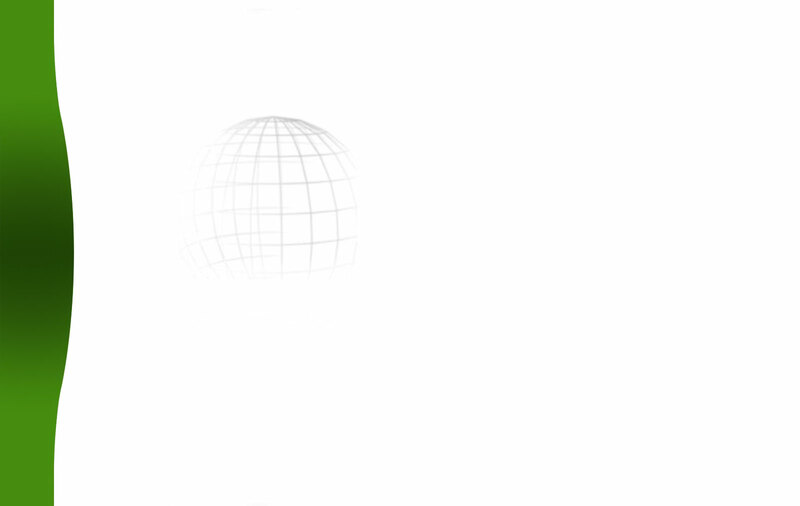 Merry Christmas to all people around the world - 2007! Especially Merry Christmas to people with genuine passion for travelling. It's time to spread joy and bring smiles to faces! Whether people believe in Santa Claus or not, they continue their traditional Christmas celebration. People wait for the arrival of Santa Claus on Christmas Eve. He is the world`s best traveller and the most popular person! Look at trolls celebrating Christmas in Sandvika near Oslo. 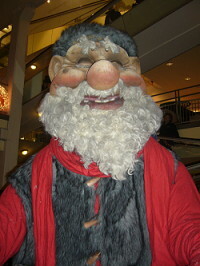 They are found in Sandvika Storsenter, which is the largest shopping center in Scandinavia. It covers 190 stores on 8 different floors, 1 km from one end to the other. Here you find a great mix of shops, boutiques and concept stores, but you find also small and big trolls around in the centre. The trolls look scarey, but they spread joy and happinnes in the Christmas time. Sundogs created a fairytale Christmas atmosphere in Sandvika, Barum - Bærum, Akershus county, Norway! It was a beautiful day on Sunday 17 December 2007 when the sun broke through the dark skyes, and lightened up the ice on the fjord in Sandvika at Kadettangen, Kalvøya. 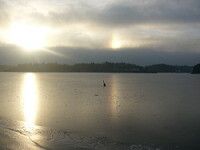 In the middle of this day I observed two or more sundogs on opposite sides of the sun simultaneously. There was no snow in Sandvika near Oslo, but anyway the sun rays made the Christmas atmosphere here quite unique.